Greetings from the IPSI Secretariat at the United Nations University Institute for the Advanced Study of Sustainability (UNU-IAS) in Tokyo, Japan. IPSI and its members continue to stay active in a wide variety of projects and activities related to maintaining and revitalizing socio-ecological production landscapes and seascapes (SEPLS). 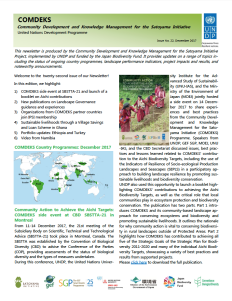 This month’s newsletter contains reports on IPSI-related events at December’s CBD events in Montreal, and also a workshop on landscape approaches and NBSAPs recently held in Tokyo, as well as announcements of the latest COMDEKS newsletter and postgraduate programmes at UNU-IAS. We are also pleased to introduce some of our partners’ activities: a recent case study from Tse-Xin Organic Agricultural Foundation in Chinese Taipei, and a photo contest being held by the Del Bianco Foundation – Life Beyond Tourism. As always, we hope you will contact us to submit any new case studies or other information about your activities, or if you have any questions or comments. 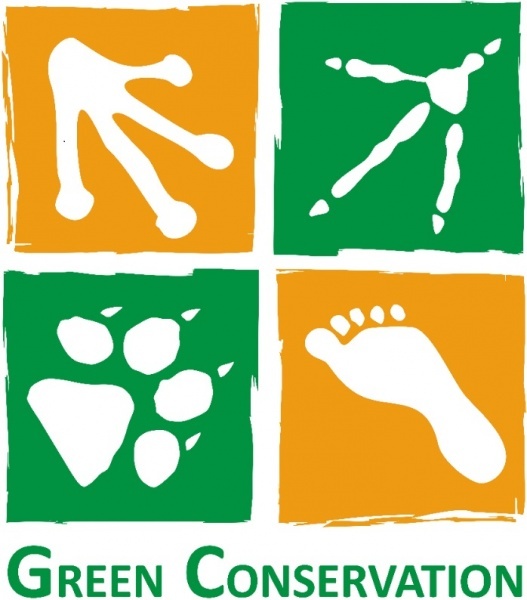 The Convention on Biological Diversity (CBD) held the Twenty-first Meeting of the Subsidiary Body on Scientific, Technical and Technological Advice (SBSTTA-21) from 11-14 December and the Tenth Meeting of the Ad Hoc Open-ended Working Group on Article 8(j) and Related Provisions of the Convention (WG8J-10) from 13-16 December 2017 in Montreal, Canada. In addition to the serious negotiations on topics related to the CBD, three side events were held related to the IPSI Secretariat. “Integrated Landscape Management in the UN Decade of Biodiversity 2010-2020 and Beyond: Achievements and Future Direction of the International Partnership for the Satoyama Initiative (IPSI)”, was held on 11 December, organized by the IPSI Secretariat with the Ministry of the Environment of Japan, the Ghana National Biodiversity Committee, the Ministry of Forest and Soil Conservation of Nepal, and the Ministry of Environment of Cambodia. 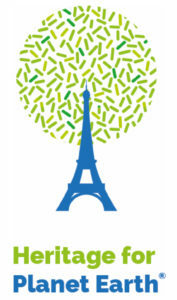 The event provided a chance for the Secretariat and members present at the meetings to give updates on progress and future plans for the partnership, including contributions to Aichi Biodiversity Targets, IPSI’s roadmap towards 2020, collaborative activities and others. An event titled “Indicators of Resilience in Socio-ecological Production Landscapes and Seascapes: Practice on the Ground and Contribution to Aichi Biodiversity Targets” was organized on 12 December by Conservation International and UNDP, with presentations on the development of the indicators and their implementation on the ground through the COMDEKS programme and the GEF-Satoyama Project. On 14 December, UNDP along with the IPSI Secretariat and the Ministry of the Environment of Japan held “Community Action to Achieve the Aichi Targets: COMDEKS Contribution”, which presented an overview of COMDEKS including an in-depth view of its Bhutan county programme. More information on these meetings and events can be found on the CBD website here. On 16 and 17 January 2018, IPSI members The University of Tokyo’s Integrated Research System for Sustainability Science (UTIR3S) and UNU-IAS, the host of the IPSI Secretariat, co-organized an international workshop entitled “Mainstreaming Biodiversity in Production Landscapes: Integrated Approaches in Design and Implementation of National Biodiversity Strategies and Action Plans (NBSAPs)” at UNU Headquarters in Tokyo, Japan. This workshop was part of an IPSI Collaborative Activity joint research project between UNU-IAS and IR3S on development and implementation of NBSAPs, with the specific focus on incorporating integrated landscape management approaches to help CBD Parties achieve their biodiversity goals and fulfill their international commitments. Representatives from the governments of Cambodia, Colombia, Ethiopia, Estonia, Japan, Mexico and South Africa – IPSI member and other countries identified for their inclusion of integrated landscape management in their NBSAPs in some form – got together to present their national policies and discuss policy processes, challenges and opportunities, along with experts from UNU-IAS, The University of Tokyo, the CBD Secretariat and others. Workshop outcomes are being compiled, and will be published in the final report of the research project, with plans ongoing to share key findings with the CBD at the second meeting of its Subsidiary Body on Implementation (SBI-2) in July 2018. The COMDEKS Newsletter is available for download on the COMDEKS website here. IPSI Secretariat host the United Nations University Institute for the Advanced Study of Sustainability (UNU-IAS) in Tokyo is now accepting applications for September 2018 admission to postgraduate degree programmes: the Master of Science in Sustainability and the PhD in Sustainability Science. Both programmes start in September 2018. The UNU-IAS postgraduate degree programmes aim to produce the policymakers and researchers of tomorrow, who will be at the forefront of global efforts towards a more sustainable future. Students gain both academic knowledge and practical research skills by actively contributing to the institute’s policy-oriented research projects. Both programmes are intended for recent graduates, professionals and practitioners aiming to pursue internationally focused careers, through employment in UN agencies, other international organizations, governments, civil society, or the private sector. All lectures are conducted in English. Application deadlines are 28 February 2018 for the master’s programme, and 27 April for the doctoral programme. Please visit the UNU-IAS Degree Programmes webpage to find out more about application requirements and procedures. Please contact UNU-IAS through the online inquiry form with any questions. The IPSI Secretariat recently received a case study from partner organization Tse-Xin Organic Agriculture Foundation in Chinese Taipei, titled “Green Conservation Program: A System for Biodiversity Conservation and Sustainable Agriculture in Taiwan”. Founded in 1997, Tse-Xin Organic Agriculture Foundation (TOAF) is a non-profit organization committed to promoting a healthy environment while improving livelihoods and human well-being through the principles of organic agriculture. In collaboration with the Forestry Bureau, TOAF launched a Green Conservation (GC) program to train and support more farmers to adopt ecological use of land that aligns with an environment’s natural processes. The program certifies environmentally friendly farms to conserve biodiversity and ensure sustainable livelihoods for agricultural communities. As a result of the GC program, the total area under organic farming has increased to 282 hectares (ha) with over 266 organic producers and 48 species at risk currently protected throughout 48 habitats across Taiwan since its introduction in 2009. For more information, please see the full write-up of the case study on the IPSI website here. IPSI partner the International Institute Life Beyond Tourism at the Del Bianco Foundation is currently accepting submissions for its photo contest “Heritage for Planet Earth”, described as “part of a wider awareness-raising strategy – especially addressed to young generations – dedicated to the theme of fragility of heritage – cultural and natural – strongly linked to the planet Earth’s environmental equilibrium and climate change”. The contest will award monthly prizes, as well as overall prizes for the whole year 2018. If you are interested, please find more information and complete contest rules on the Life Beyond Tourism webpage here. Please be sure to let the Secretariat know if there are any changes in your e-mail address or contact information. If you have been forwarded this newsletter and would like to SUBSCRIBE, you can do so on the IPSI website here.